DATE Day 2 - Famous Faces, Low Power, OVM, Robots and... Coat Checkers? My first stop of the day was to sit in on session 4.2 - High Level Validation Models. A few things caught my attention at this session. 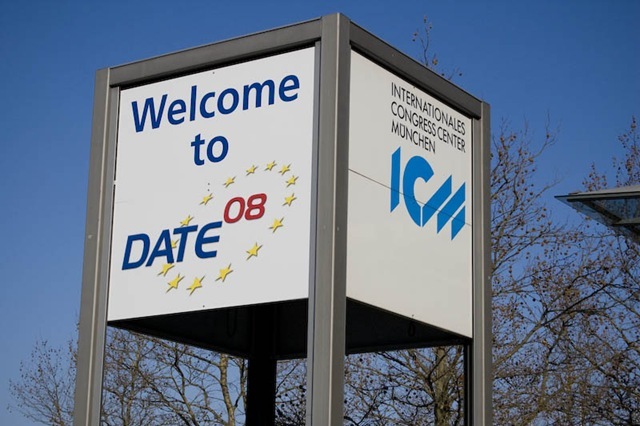 First, and reminiscent of my experience last year at DATE was a comment made by the third presenter, Joao Marques-Silva from Southampton University in the UK. The title of Joao's presentation was "Algorithms for Maximum Satisfiability Using Unsatisfiable Cores." During his opening remarks, Joao mentioned that knowledge of SAT solvers was required to understand his presentation. He continued: "If you don't understand SAT, tough!" Eh? Many of the talks last year had this type of strong academic bent. I believe many of the session attendees did understand SAT, but for those of us who didn't the discussion that followed was absolutely meaningless. While DATE officially started yesterday with a full day of tutorials, today was the first day of the main portion of the conference. The morning started out with the opening address, awards, and keynotes from Dr. Giovanni De Micheli, Professor and Director of the Institute of Electrical Engineering and of the Integrated Systems center at EPFL in Lausanne, Switzerland (below top) and Dominique Vernay, CTO of Thales in Paris, France (below bottom). 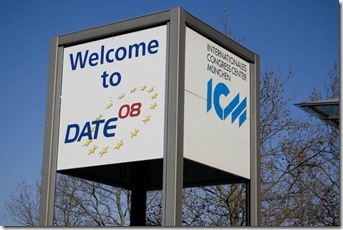 I'll be attending DATE next week in Munich. I'm looking forward to the conference, but unlike DVCon where I was able to easily plan out what I was going to do each day I've been completely overwhelmed by the number of things going on and have not yet decided what sessions I'll be attending. Anyone have any specific recommendations for me? Also, if you're planning on attending the conference or are otherwise going to be in Munich next week let me know! One other thing - anyone have any suggestions for good places to go skiing around Munich? It looks like Garmisch is the the most conveniently located spot, but I have no idea what the conditions are like there at the moment.